I wrote this several years ago, but it still rings true today (although I am no longer at the job I mention below, thank goodness). Last week, we had an office “retreat” and without going into any of the details, if you have ever had a “retreat” you know what it was like. Let me just say we attempted to come up with a mission statement. There was one question, though, that I instantly knew how I would answer and why. The question was “What is your favorite picture of you?” Most people recalled a photo taken when they were young, when they looked particularly adorable. Personally, I do not like having my picture taken at all. I am not exactly sure why, but I am not about to spend a small fortune to pay a therapist to help me understand. But there are two pictures that I really love. They are the first pictures taken right after my both of my sons were born. 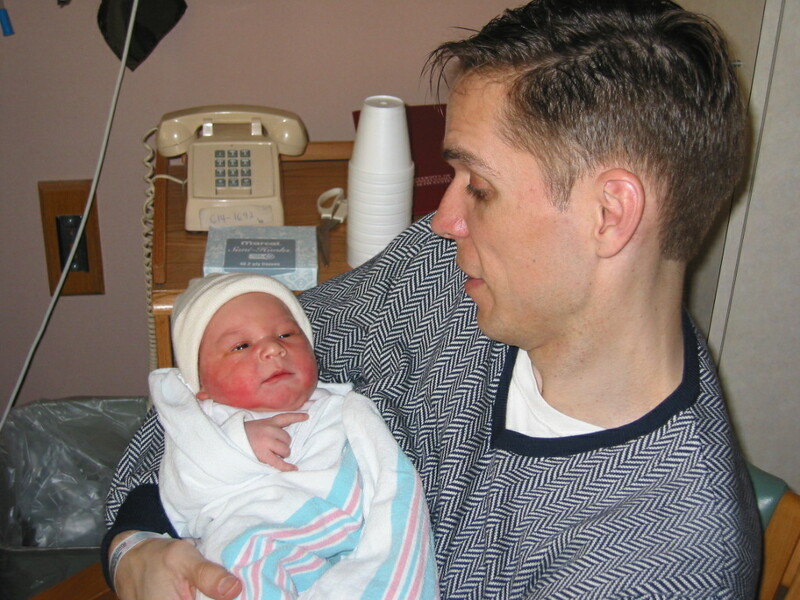 That is a considerably younger (and thinner) me holding Nathan on March 26, 2003. 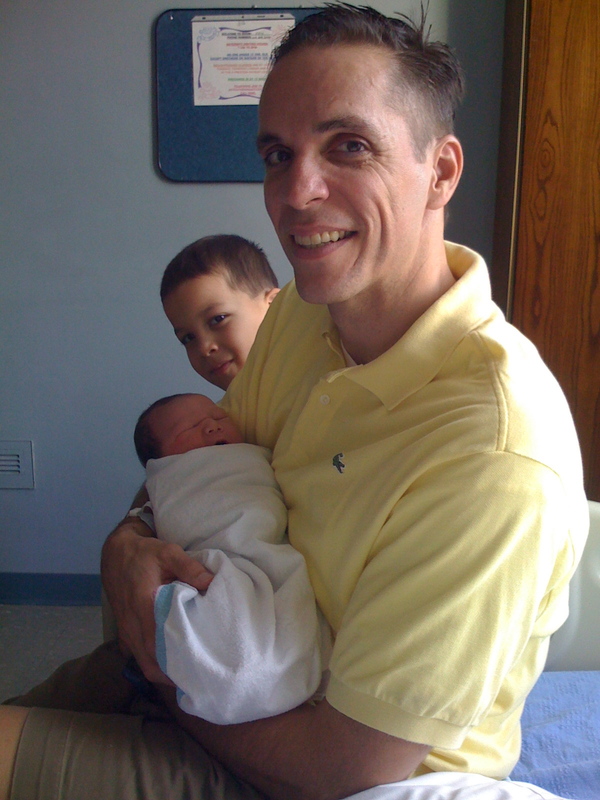 And that is a slightly older and a bit rounder me holding Sebastian (with Nathan peeking behind) on August 26, 2008. There are few things that I have been certain of in my life, but I always knew that I wanted to be a father. I will likely never be selected as father of the year (I am no Bill Clinton), but I do know that these two little knuckleheads have brought me far greater joy than I ever could have imagined. I will be spending Father’s Day with my three favorite people in the world, choking down some very dense pancakes for breakfast, being frustrated down at the baseball field (for not one but two games), and arguing with them to eat their vegetables at dinner. And I will be loving every minute of it. Happy Father’s Day to all you dads out there. I am sure that you feel as lucky and as blessed as I do. And a sparkling and Happy Father’s Day to you as well!